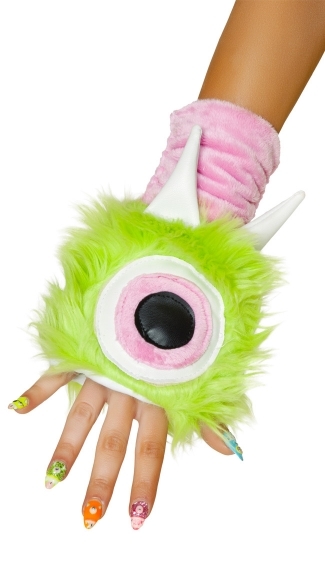 The green furry, One Eyed Monster gloves feature a pink eye applique, white horns and pink cuddle fur wrist bands. FABRIC: Cuddle, Faux Fur. One Size.